The holiday season has arrived, and with the joy of the season comes a lot of holiday travel. If you are traveling this holiday season, it is important to keep your home safe while you are away. Here are a few great ways to protect your home while you vacation this winter! 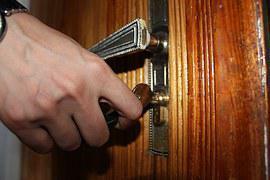 This may seem like a no-brainer, but many travelers forget to lock their doors while they are away over the holidays. If your door is unlocked, it makes a burglary much simpler, and by just locking your doors, you can often discourage illegal entry. This simple step will keep your home much safer throughout the season. If you are friendly with your neighbors, enlist their help in your home’s safety this winter. Tell a neighbor you trust that you will be away for the season, and they can act as an extra pair of eyes and ears at home. A neighbor can also pick up your mail and newspapers, which might otherwise pile up and send a signal that you are away. If you don’t know any of your neighbors well, consider asking a friend or family member to house sit while you are away. The more it looks like someone is at home, the less likely a burglary is to occur. Over the holidays, it is tempting to share the exciting news of your travels online. Try to avoid this temptation and keep your travel plans top secret on your social media platforms. With these tips in mind, you are primed to spend a wonderful holiday away with the assurance that your home is safe as well. For more information on protecting your home, contact Insurance Center Associates today!